Home » Simply Savannah » Atlanta’s Largest Recycling Day is This Saturday! Atlanta’s Largest Recycling Day is This Saturday! 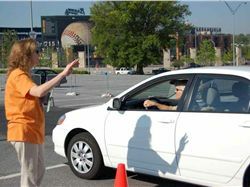 This Saturday, April 19th, from 9AM to 1PM, Turner Field is hosting Atlanta’s Largest Recycling Day! 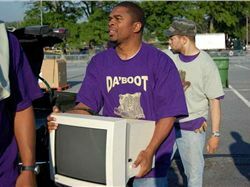 Atlanta’s Largest Recycling Day’s main focus is on electronics. Electronics contribute up to 70 percent of the toxins found in landfills because every year newer and better products are being sold to consumers. The goal of electronic waste recycling is to promote the recovery, reuse, and recycling of obsolete electronic equipment and to encourage the design, manufacture, and purchase of environmentally responsible electronic equipment. The following items will not be accepted: consoles (tv cabinets), projection televisions, vacuum cleaners, refrigerators, washers, dryers, freezers, de-humidifiers or humidifiers, gas-powered equipment, household trash and NON-electronic equipment. For more information, please call Councilmember Smith’s office at (404) 330-6039. If you can’t make it to this event, check out keepatlantabeautiful.org for other opportunities to recycle your electronics. All this week, Catalyst will be focusing on sustainability, leading up to Earth Day on Tuesday, April 22nd. Stay tuned for more ways that you can help create a greener planet.